This year the market will operate on two dates, the second on Aug. 11; city has sponsored markets for four years, starting in 2015; the concept originated in China, but has spread throughout Asia and around the world. Beaverton is among a handful of communities in North America doing so. 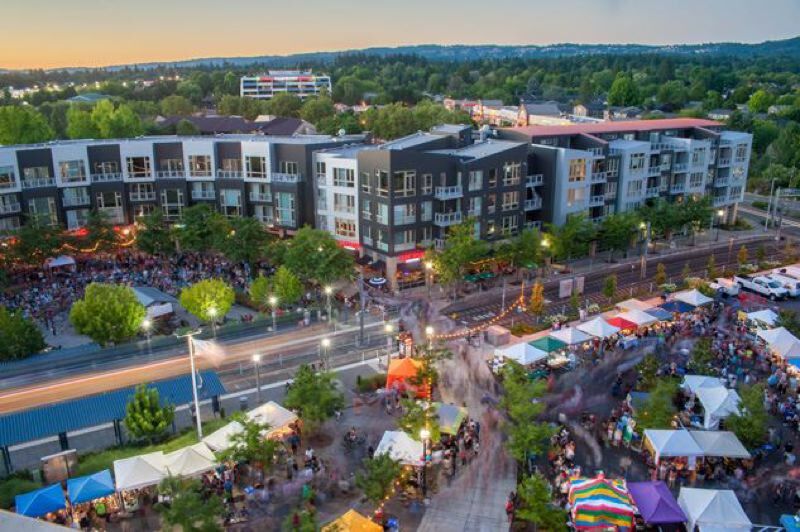 Beaverton Night Market is returning for two nights this summer. The first market runs from 5 to 10 p.m. Saturday, July 21, at The Round, 12725 S.W. Millikan Way. More than 50 booths will offer food and crafts from around the world, and entertainment will be provided on two stages. The second market is set for Aug. 11. The 2018 markets are sponsored by the city's Diversity Advisory Board, which also sponsored the 2017 market. Alexis Ball, the city's manager for equity and inclusion, says the city has sponsored such events for a total of four years. In September 2015, the first night market was part of the city's Welcoming Week celebration, and the second market was in August 2016. The 2016 and 2017 markets each attracted about 14,000 visitors. "The original vision of the market was to have it evolve into a seasonal market," Ball said. "It hasn't quite taken off in that direction yet. But people like to have some build-up." Scheduled for Saturday's stages are Unit Souzou, a Japanese taiko dance group; Scarlet Sails Theater, a Russian theater group; De Colores, Mexican ballet folklorico; Jujuba, an Afrobeat band; Indonesian Performing Arts of Oregon; Tongan Island Dancers, and Dancing Sitara, which performs dances from India. A different lineup of performers is planned for the Aug. 11 market. A children's activity area with games and crafts will be run by the Tualatin Hills Park and Receation District, another first for the market. Admission is free. Vendors will accept cash — an automated teller will be at the information booth — and some will accept debit and credit cards. Parking is extremely limited on site because of construction on nearby projects, including The Rise with 230 apartments. Millikan Way will be closed from Southwest Rose Biggi Avenue to the entrance to the parking garage next to City Hall/The Beaverton Building to allow for unimpeded pedestrian crossings. Shuttles will be available from 4:30 to 10:30 p.m. from lots at Beaverton High School, 13000 S.W. Second St., and Beaverton City Library, 12375 S.W. Fifth St. Visitors also can use the MAX Blue Line, which stops at the Beaverton Central station at The Round, or TriMet bus lines 57 and 20. Night markets trace their origin more than 1,000 years ago, back to China's Tang Dynasty. They offer street food, live music and other performances, and open-air shopping for handicrafts when most other markets are closed for the day. The modern night market has spread from Taiwan to elsewhere in Asia, and other countries have put their own twist on the concept. In North America, the largest night markets are in Vancouver, British Columbia, and its suburb of Richmond, which operate on weekends for several months. "We looked to those for inspiration," Ball said. They also take place outside Toronto, in and around Philadelphia, and in Los Angeles and San Francisco.